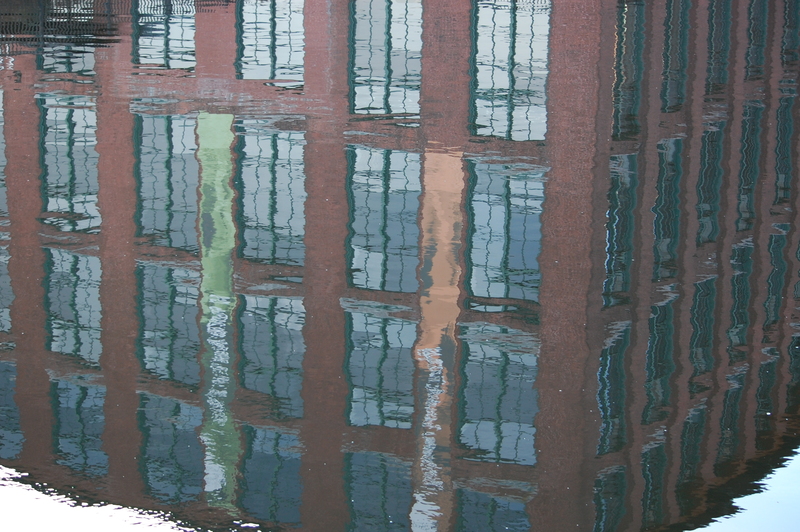 I love the reflection of this building in the canal water. To me, it could have been taken in almost any city in Europe. 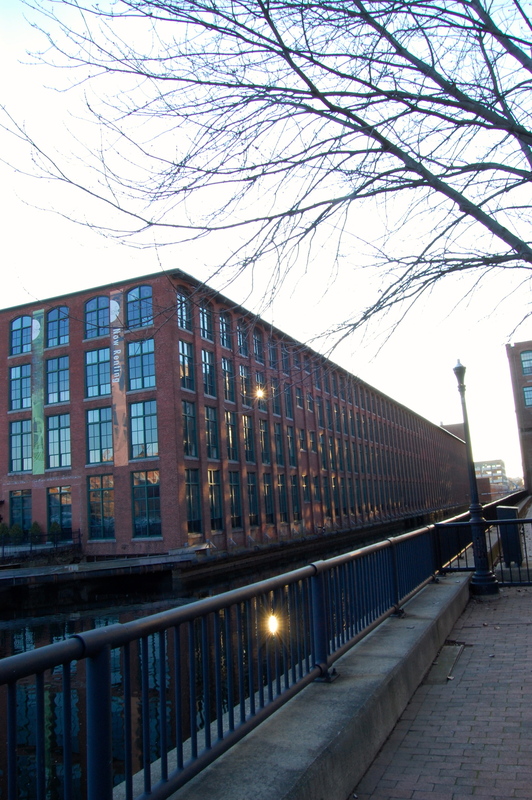 But it was taken in Lowell, Massachusetts, U.S.A.
For ten months through 2012-13 I lived in Lowell, Mass. on Market Street, in the heart of the downtown area. I’d moved from a bucolic setting to this struggling city of highs (young people bursting with art and literary potential under the influence of a wildly impressive art scene) and lows (abject poverty and the human sorrows that accompany poverty in an urban setting). 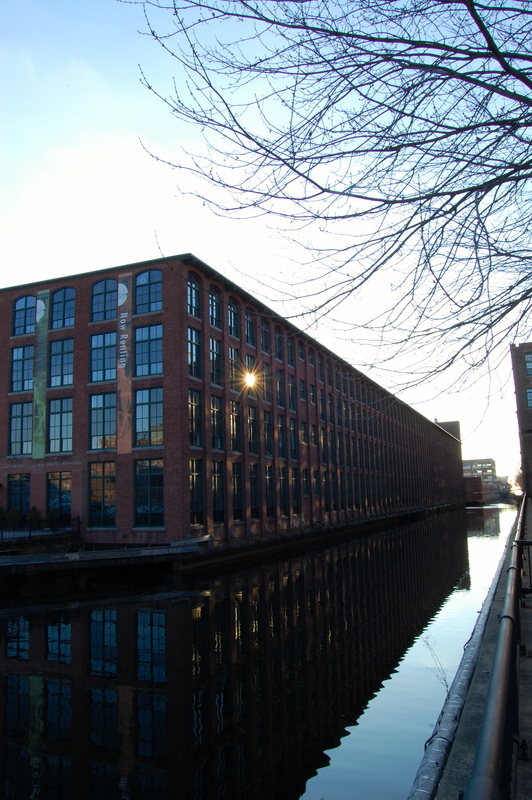 Lowell is one of three mill cities that was built in the 1800s along the Merrimack River in Massachusetts. Along with its sister cities, Lawrence and Haverhill, Lowell was a humming hub of the American Industrial Revolution in the mid 1800s. Evidence of this history fills the streets of downtown Lowell and makes for endless photography opportunities. This post focuses on photographs of one mill building that today is a condo complex. 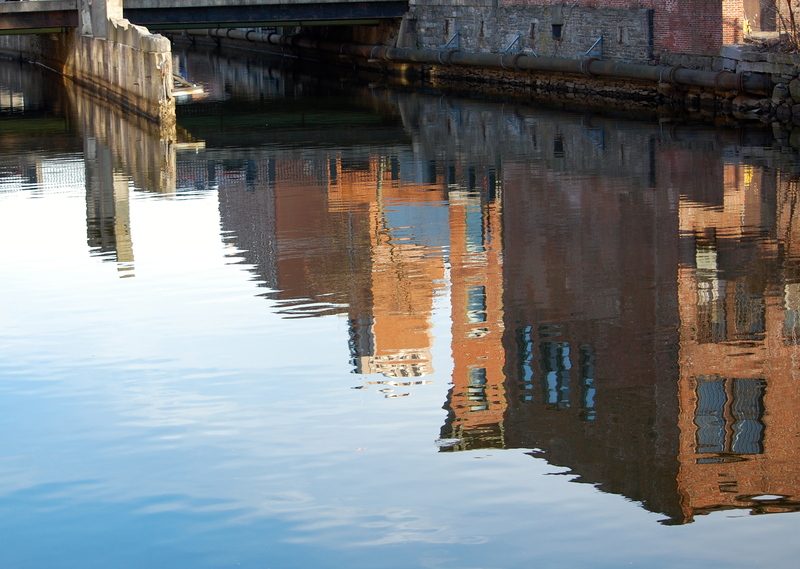 that runs along a canal in the heart of downtown Lowell. The sun set as I took these photos, offering me some shots of sunbursts reflected off a pane of glass and, in the second photo below, reflected in the canal, too. When I was taking nature photographs near the house I’d moved from, I loved images of reflections on a pond near my house. I came to love reflected images on the canal just as much! This is the first Sunday’s Snapshots, a regular feature I’m adding to sublimedays. 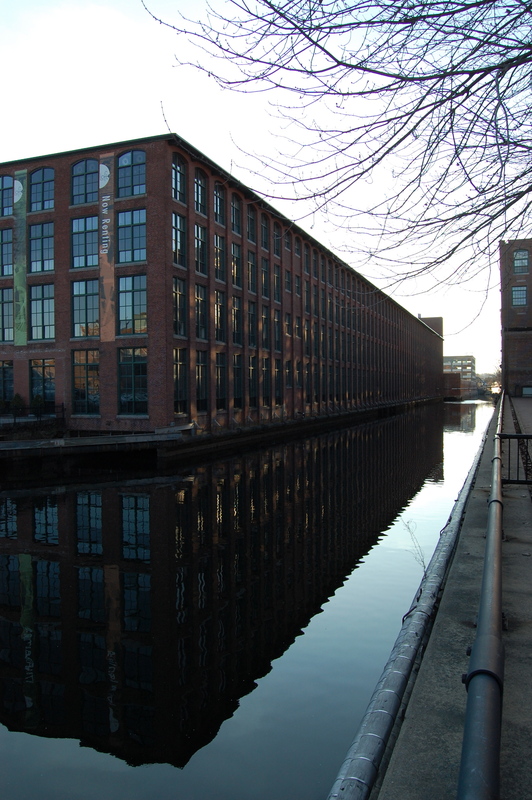 A point of interest – my second novella, The Setting of the Sun, is set in Lawrence, Massachusetts, and lightly touches on the history of the mill industry in that city. Visit the page on this site that is devoted to The Setting of the Sun if you are interested in reading about the book.